^ Laos. CIA – The World Factbook. Cia.gov. Retrieved on 28 July 2018. ^ 9.0 9.1 老撾應該讀“老抓”？. 新华网. 2015-07-20. 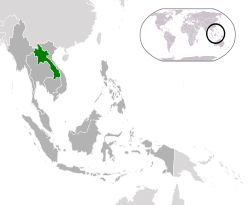 ^ At a glance: Lao People's Democratic Republic. UNICEF.